Unless you have spent considerable time with your parents and are aware of how they manage their finances and resources, it is possible you may end up contributing financially to their retirement and healthcare needs when parents age and become ill. This will significantly affect your retirement planning not to mention your time, family relationships and your career. 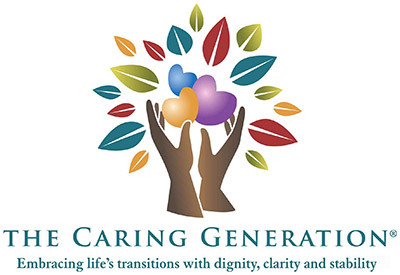 While adult children are generally supportive of caring for aging parents and many would not change anything about the support provided, with proper planning this support does not have to negatively affect the finances of adult children. Early discussion must occur. Discussing plans for aging parents is a difficult subject that many families put off when other priorities exist like raising children or saving for college. However not planning for long term care often results in crises and stress later in life, not only for parents but for adult children shocked to learn that parents did not plan appropriately. These discussions should occur as early as possible. How well your parents cared for themselves when they were younger will have a direct affect on their ability to age with or without significant health issues. After age 65 a stay in a nursing home is common whether it be for short term rehabilitation or to recover from a medical emergency. Older adults have excessively negative memories of nursing homes because their parents or older family members may have been placed in “a home”. The skilled facilities of today have come a long way in dispelling this old impression, however many people still do not wish to live the last years of their lives in a nursing home. 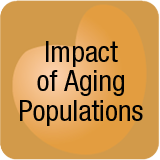 Many older adults hesitate to consider retirement communities or assisted living. Adult children see parents as the authority. However depending on the level of a parent’s education and experience, adult children may actually be more of an authority. Children are often better educated than their parents and more familiar or at least aware of financial planning and insurance products. I was surprised when I learned after my mother’s death that she never knew how to balance a checkbook. She was just good at making sure there was always enough money in the account to pay the bills. Here are five steps you can take to avoid financially supporting aging parents. If you are already at the point of crises, many of the discussion points still apply. However you may have to make other hard choices about finances and the type and level of care a parent is able to receive. 1. Have a discussion with parents about available finances. Many parents feel this to be an invasion or privacy but they might understand if you tell them that you are making your own long term plan and want to make sure that they are equally prepared for retirement. It is likely that they are not and you would prefer not to have surprises when parents need care. 2. Discuss monthly household budgets. Have a realistic discussion of available finances and the costs of long term care. One year in assisted living averages $40,000; one year in skilled nursing averages $72,000. If they lack this level of resources, then the discussion falls to Medicaid, the government assistance program for low income older adults. Consult a care advocate who is able to explain Medicaid and how services are accessed. 3. Identify expected monthly retirement income. Do funds exist to pay for unplanned hospitalization or skilled nursing facility co-pays? Ask how your parents plan to pay for care at home or in a care community based on their level of financial resources. Consider long term care insurance if monies are available to pay for premiums and your parents are healthy enough to qualify for a plan. Consider buying long term care insurance for yourself. 4. Discuss life insurance if this has not already been purchased. It could mean the difference between having a paid off mortgage or not for the surviving spouse, in addition to paying for funeral arrangements and paying off other bills. 5. Follow through with finalizing a plan. Take your parents to a financial planner. Invite insurance specialists and care advocates into the home to discuss plans. Leave no detail aside and no plans unmade. Put options in writing including the level of participation you expect to have when caregiving needs arise knowing that situations may change over time.